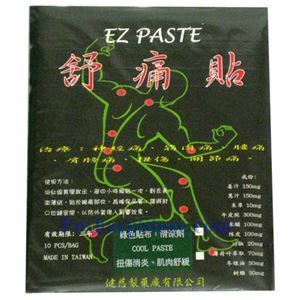 EZ Paste is a pain relieving plaster made in Taiwan to temporary pain relief and comfort for hours. 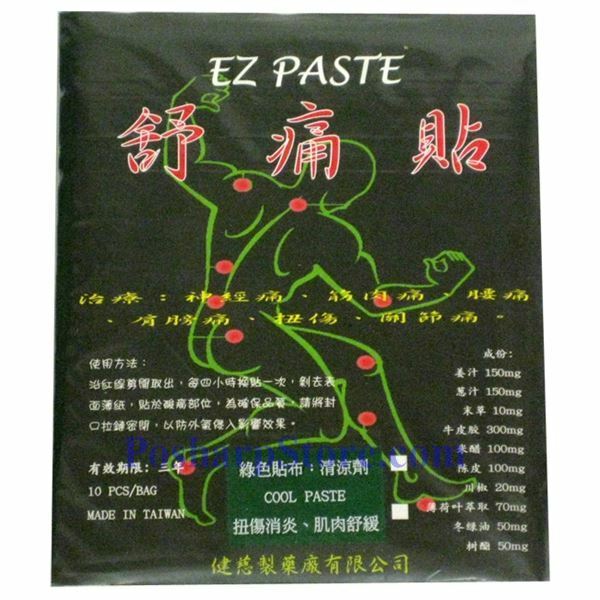 It is not messy or greasy and will not stain your clothing. Its thin design can be comfortably worn unnoticed underneath clothing.